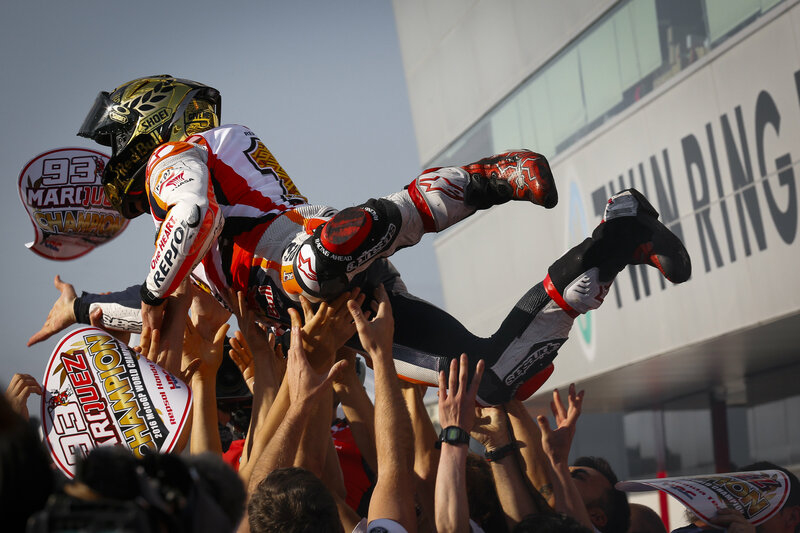 Marquez made his debut in the World Championship in 2008 at 15, and although his rookie season was curtailed by injury, he made headlines by achieving a podium result in just his sixth race. He picked up another podium result in 2009, before becoming 125 World Champion for the first time in 2010 – winning an incredible ten of the last 14 races of the year. In the Moto2™ class the following season, the rider from Cervera had a tough start before going on an incredible winning run, taking seven victories to hunt down the mammoth lead accrued by title rival Stefan Bradl – including a podium in Phillip Island from 38th on the grid. A crash in practice for the Malaysian Grand Prix then halted the season, and Marquez was forced to cede the title fight with serious problems with his eyesight. Not knowing whether the problem could be solved, Marquez had a tough off season with his career in doubt – until surgery was able to correct the problem, and he was finally able to get back on the bike. When he did, he obliterated the opposition and took the 2012 Moto2™ World Championship – including an unbelievable win from the back of the grid at the season finale Valencian GP. The scars of last season have created a new rider. Where 2015 saw the Spaniard push too hard and make mistakes, this season has replaced those flaws with calm and control – pushing when the victory is there to be taken, and taking the points when the stakes are too high. 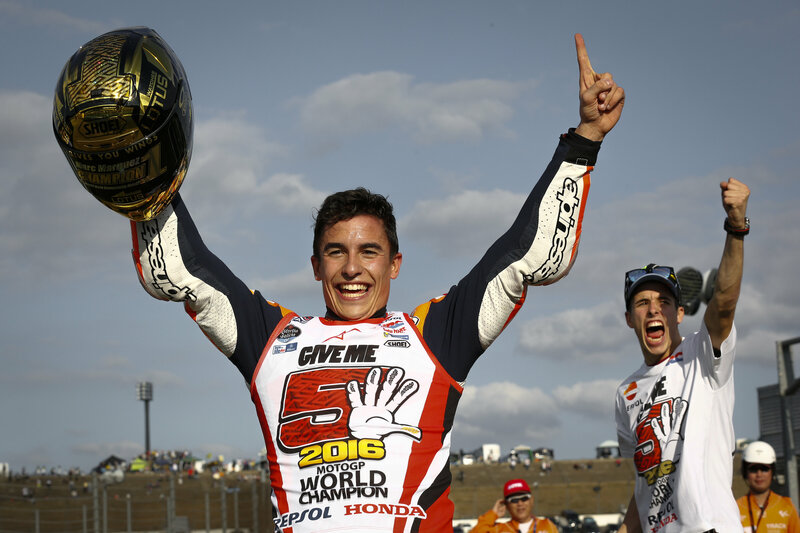 The strategy – that Marquez explains as the way to win a title rather than win the most races – has seen the 2013, 2014 and now 2016 MotoGP™ World Champion equal great rival Lorenzo with a third premier class crown – his fifth World Championship. Taking the title at the home of Honda at Motegi – as he did in 2014 – Marquez’ ride to a stunning fifth win of the season was enough, as Rossi and Lorenzo crashed out of both the race and the Championship fight in the high drama in Japan.